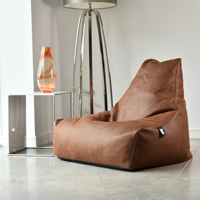 The Original Beanbag Chair crafted from faux leather for indoor use. Choose from 10 funky colours. We think it's as comfortable as a traditional Fatboy Original beanbag but in the shape of a uber comfy chair. A furry sheepskin bean bag that takes extreme lounging to a truly Jurassic scale. Take the insanely snug properties of our Original Mighty-B and multiply it by a gazillion! Available in 4 mighty sheepskin covers. Barbour-like Quilted Beanbag Chair for indoor or outdoor use. Choose from 10 funky colours. 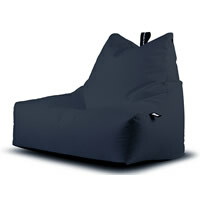 As comfortable as a traditional Fatboy Original beanbag but in the shape of a uber comfy chair. Kids sized beanbag chair. Choose from 10 funky faux-leather colours. Great for gamers and as comfortable as a traditional Fatboy Original beanbag but in the shape of a uber comfy chair. 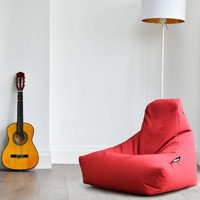 Kids-sized beanbag chair available in 11 different colours and suitable for outdoor and indoor use. Great for gamers and as comfortable as a traditional Fatboy Original beanbag but in the shape of a uber comfy chair. Monster sized beanbag chair for two. Great for gamers and as comfortable as our traditional Fatboy Original beanbag but in the shape of a uber comfy chair Choose from 11 funky faux-leather colours. 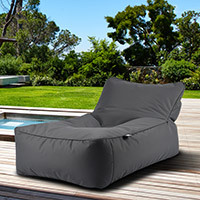 Monster sized waterproof outdoor beanbag chair for two. 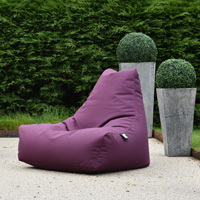 As comfortable as our traditional Fatboy but in the shape of a uber comfy chair Choose from 11 funky colours. 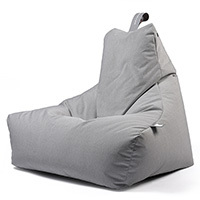 Our super comfy mighty b bean bag chair is now available in a choice of 4 pastel colours. Ideal for adding a contemporary touch or if the bright colours simply aren't your thing. 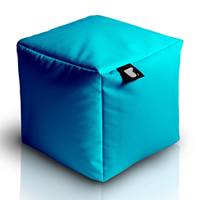 Our super comfy mighty b bean bag chair is now available in this versatile B-Box cube. 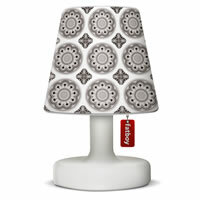 Great for using as a chair or foot stool and available in 11 different colours. 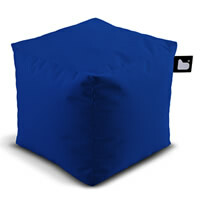 Our super comfy mighty b bean bag chair is now available in this versatile waterproof B-Box cube. 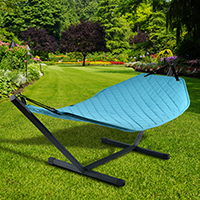 Great for using as a outdoor chair or foot stool and available in 11 different colours. 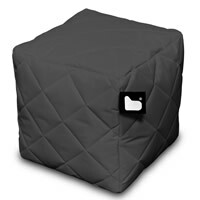 Our super comfy mighty b bean bag chair is now available in this versatile B-Box pouf cube. 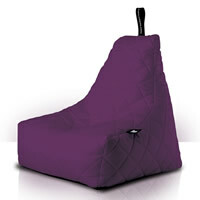 Great for using as a chair or pouf / foot stool and available in 11 different colours. 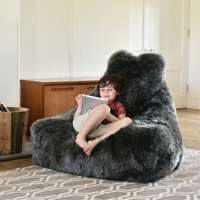 A furry sheepskin bean bag that takes extreme lounging to a truly Jurassic scale. 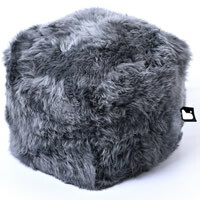 Great for using as a chair or pouf / foot stool and available in 4 mighty sheepskin covers. 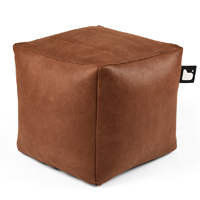 Our super comfy Mighty B beanbag chair is now available as the versatile indoor B-Box cube in faux leather! Great for using as a chair or footstool and available in 4 different colours. 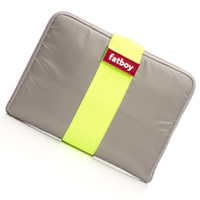 Protect your precious iPad on the go with our funky tablet tuxedo from Fatboy. Available in a choice of 11 colour combinations. Inspired by comedian Tommy Coopers Fez, why not transform your Fatboy Edison Petit Lamp with one of our 21 lampshade covers.